Actually, the Federal Trade Commission limits the cost of fraudulent transactions to a maximum of $50, not the $0 you stated above. Still a minor expenses to the card holder. Additionally, I for one am happy to hear about an added layer of security in the guise of a pin number. Last year alone, online credit card fraud topped $4 billion dollars. 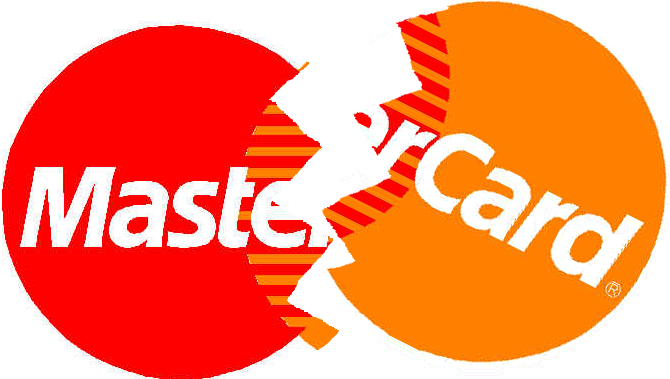 The pretty much negated many of the profits generated by the credit card company. Who in turn has to pay for this loss, but the consumer? We all pay for it not only with higher credit card interest charges and fees, but in the form of increased retail prices. I understand about the FTC limit, however my card (and many others) offer a $0 deductible as a feature. I think you may have missed the point of the article: the new cards are inherently less secure. If you read the entire article, you’ll see that card details can be obtained remotely, and a clone card made easily. Similarly, passports containing RFID chips have had their data scanned from 30 feet away, and that data was, like the credit cards, insufficiently encrypted, making identity theft remarkably simple. Identity theft is a much greater threat to the consumer than increased interest rates as a result of fraudulent transactions – identity theft bears a very real and substantial cost to the victim, as it takes days of effort to sort things out and convince various parties that the other “you” isn’t, in fact, you. These days I have not noticed people even asking for ID or even to take a card. They just wait for you to swipe and go. Its as if the cashier does not even want to touch the card or help with payment in anyway. Talk about lazy. This is specially true at grocery stores, wal-mart, and many cheap low paying retail job places. And trust me food at the grocery store, and blu-ray players at walmart can add up quick. Hey darling you like that new Sony TV just swipe and go. I easily buy things under $50 dollars with just a swipe and over I just have to sign on a pad that no one is watch, heck most ppl seem to have lost the art of Cursive so there signature might as well be a line or something similar. I think the paypass is not all that much worse than swiping is becoming, with the exception of maybe scanning, hopefully it soon 128-bit encryption so at least the data is not quite as easily hackable. Really? And do you think little pixies are going around installing card skimmers at ATMs? Wait? You made your Girlfriend pay for dinner…? But seriously great article, cash is king it would appear. What we need now are lead-lined credit card holders to protect our cards from unwanted scanning. The inconvenience of keying in a PIN code? You must be kidding… In modern shops / restaurants the waiters / staff have a portable device that they bring to you: your credit card never leaves you. Much safer, totally hassle-free. I don’t see why it can be a problem (I haven’t been asked to go to the actual device in years: they always come to me). We’ve had this for ages in Europe, it’s pretty neat. I’m not an expert like the author, but my understanding of biometrics is that they are about as unreliable as smart bombs. This is an informative article that initially had me worried because I’ve recently started using PayPass to pay for some transactions. But I was relieved to find out that using PayPass via NFC on my mobile phone alleviates many of the security problems pointed out by the author. 1. NFC is a subset of RFID that requires very close proximity in order to transmit the data. So there should be no hackers 30 feet away skimming my credit card information. 2. A PIN is required for purchases over $50 and unlike the examples given in this article the PIN is entered on my mobile phone so it’s neither an inconvenience or a security risk. I think the author should update this article to emphasize that RFID enabled cards are the risk not PayPass itself since if it’s used via an NFC enabled phone it’s much more secure. An additional layer of security here is that the information which needs protection will only be available as long as the application is running on the smartphone. Not like the creditcard rfid which is “on” 24/7. “So there should be no hackers 30 feet away skimming my credit card information.” How do you know this, they could be stood right next to you skimming your card and many others.